I was eager to try out my new 10-22mm wide angle this weekend, but my plans were dashed by persistent snow, cold and heavy overcast skies. Camera in hand, with no where to go, I waited for my son while he took his weekly guitar lessons at our local music store, Meeker Music. Striking up a conversation with the cheerful shop owner, I inquired if I may take a couple of photos of his fine collection of acoustic, electric and electro-acoustic guitars. Here are a couple of shots. ▲ 3-exposure -2/+2EV HDR, Canon EOS 50D, 10-22mm @ 20mm, f/10, center shutter 0.3, ISO 200; OnOne PhotoTools. ▼ Canon EOS 50D, f/1.8 1/125, ISO 400 50mm prime, single exposure; processing with Nik Silver Efex. Click photos for enlarged view. I play guitar, so right away I love the subject material here. Great captures and WONDERFUL processing here Chris! You’ve really brought the personality of the store and the guitars right out here, absolutely wonderful!!! Great shots, man! Love the B&W with that shallow depth of field. Heath took my comment! I really like the B&W too. Nice choice with the 50! Awesome shot! 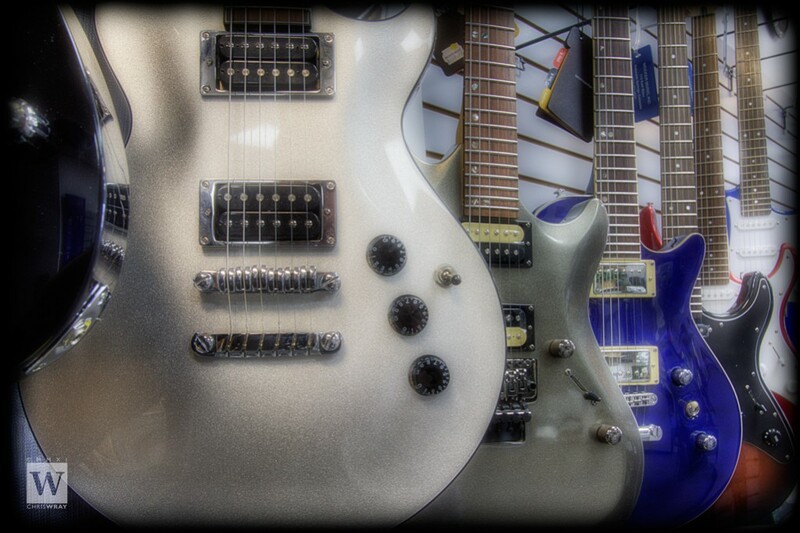 Love the processing that gives the guitars a dreamy quality. 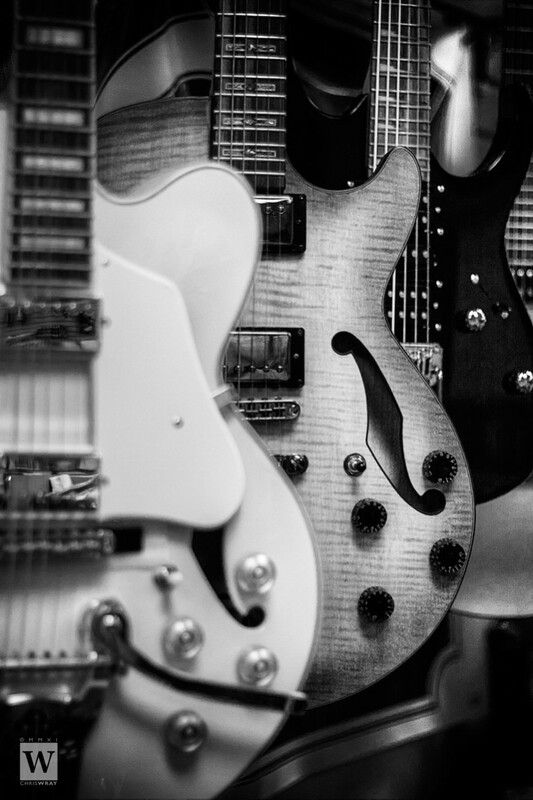 I’m a guitarist myself, so I love images of guitars. Thanks for sharing this!